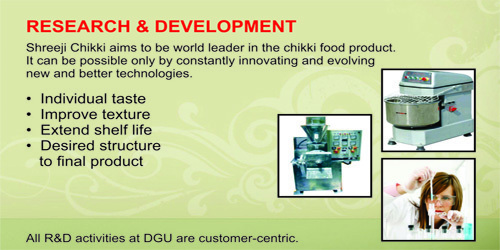 For us Quality Standard of the Chikki prepared is the most important matter of concern. We take special precautions to maintain the HIGH LEVEL OF HYGENIC CONDITION . 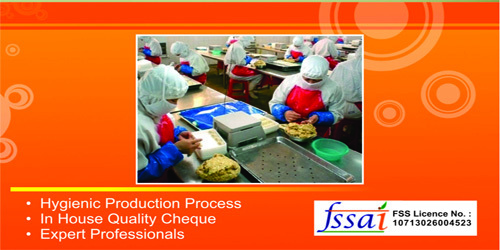 To ensure absolutely flawless production we have special section to check and re-check the final outcome. The specialty of our range of Chikki is that we offer the maximum variety of flavors and taste which is liked by both children and adults. Whether one wants Crunchy Chikki for yummy taste or soft Chikki for a smooth taste. We offer our customer with a various varieties of Chikki like Sweet Chikki, Semi sweet Chikki, and Sugar free Chikki. The most important thing is that all these special options are available at very reasonable rates. With our range of Chikki you can make your time tasty, pamper your guests and handle your children by giving them their favorite flavored healthy Chikki.